Have you noticed the musical notes filling the air as you browse our Santa Barbara shops on State Street? 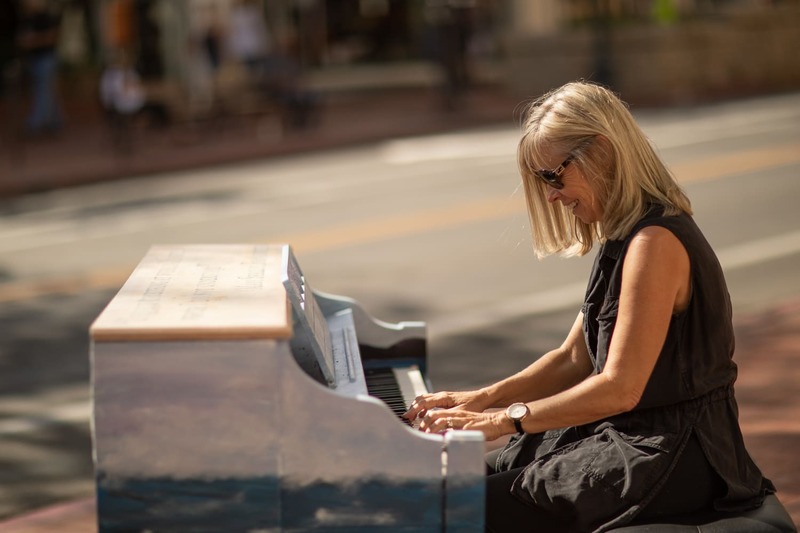 Thanks to a multitude of SB local artists, partners and sponsors Pianos are back on State this October! 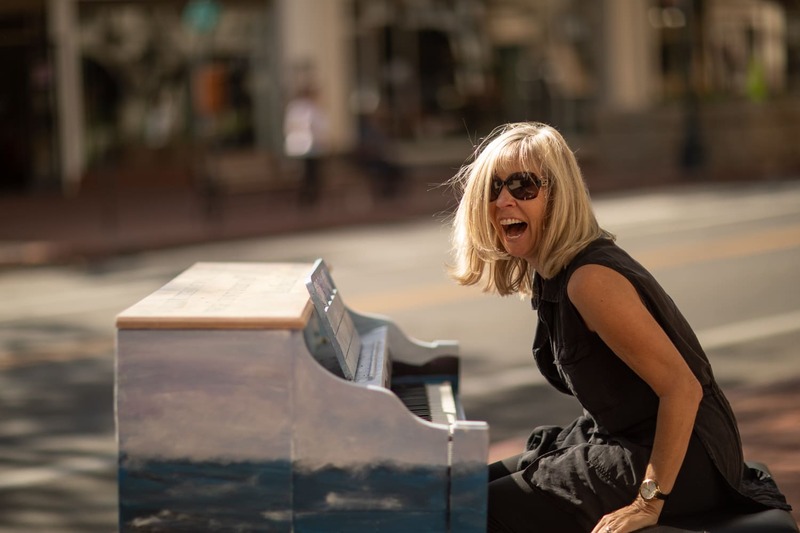 Every year Pianos on State brings musical fun to our Downtown area. 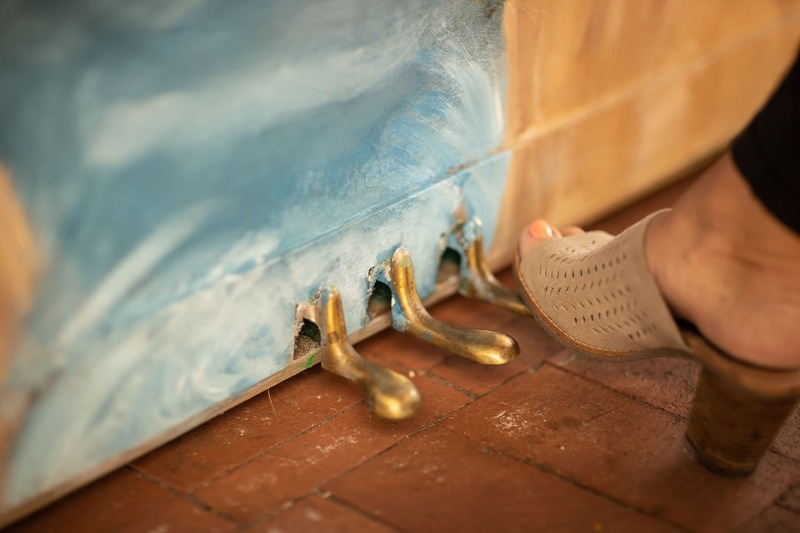 The pianos are painted by local artists and sponsored by local companies and out for professionals (and non-professionals) to stroke the keys and play their best rendition of Mozart (or chopsticks). We even took a chance playing some of our novice favorites last Friday afternoon. Although we both had piano lessons as children, the skill unfortunately did not follow us through to our adult life. We did, however share lots of laughs between ourselves and the passerby while playing on State. Dianne's go-to "Mission Impossible" was a clear favorite. Athena Photography was even there to capture the moment! Pianos on State really is a great way to facilitate community. If you're out and about downtown, we encourage you to sit down on a bench and play your favorite tune!! 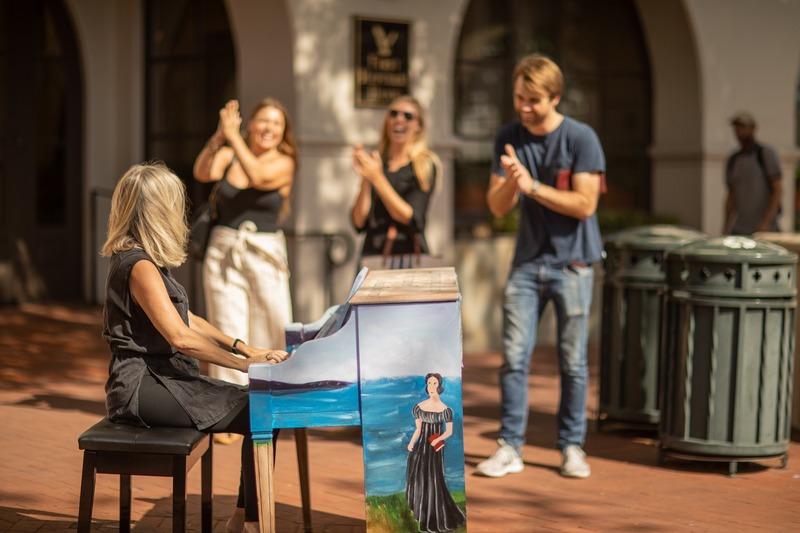 The piano project is helmed by the Santa Barbara Bowl and is made possible by a wonderful group of collaborators representing other arts organizations such as the County Office of Arts and Culture, Santa Barbara Education Foundation and the Community Arts Workshop. 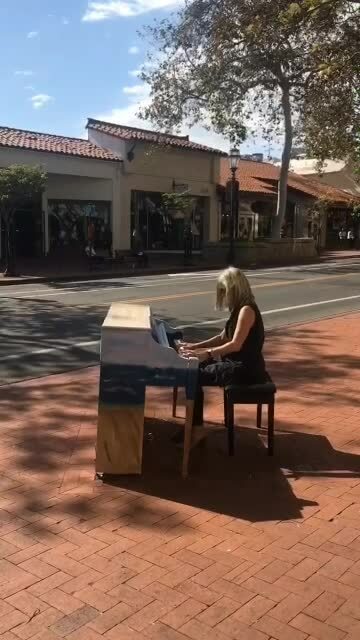 Thanks to the wonderful support of individuals, businesses and foundations such as the Squire Foundation, we are able to provide a small stipend to Santa Barbara based artists to paint the piano as well as cover other costs associated with producing this wonderful public art project for the community. There are various levels of sponsorship and benefits associated with each level. A “Piano Sponsor” is a $1,000.00 value which allows a business to sign up as a sponsor to a piano. 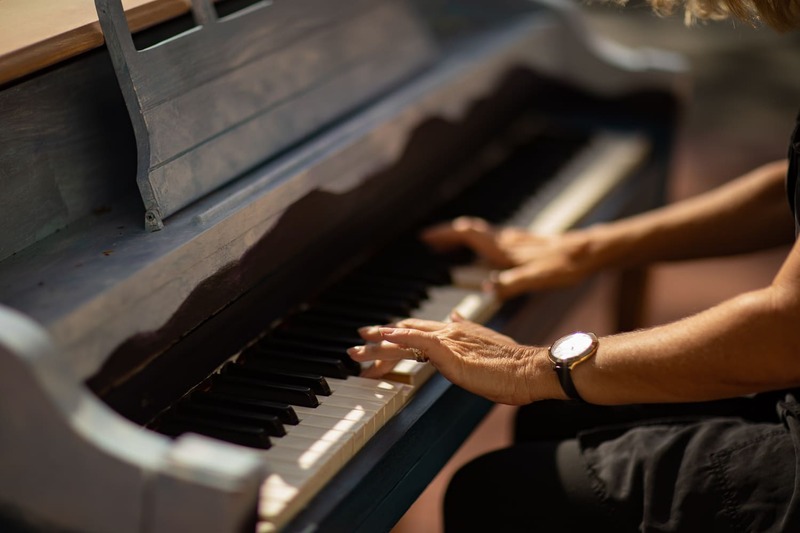 An “Artist Sponsor” is a $2,500.00 value which not only helps support the materials stipend that goes to the artists, but also allows the business to have first choice of piano location and their logo prominently recognized. If requested, artist sponsors can also ask for a specific artist that has been chosen in the program to paint their piano. The also have in-kind partners who contribute time, materials or space to the project which are also recognized on the piano banners.